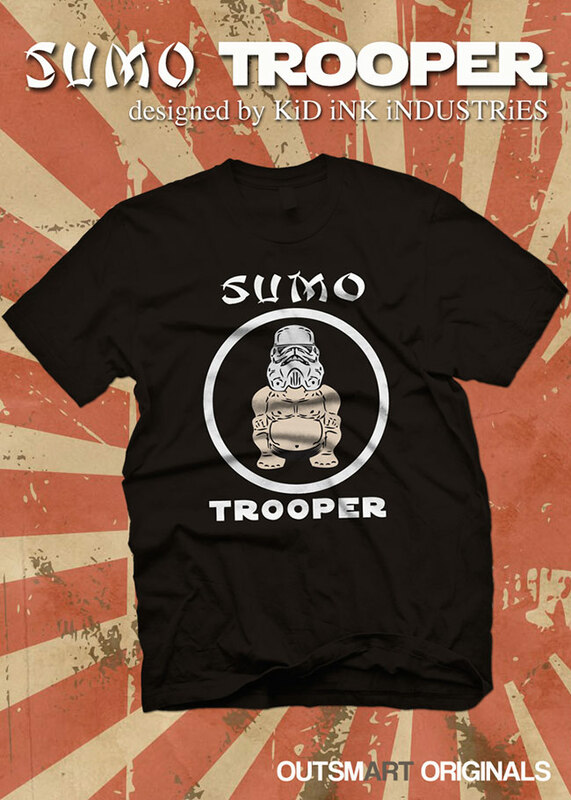 April 2013 - Following up the news about the release of the upcoming SUMO TROOPER t-shirt by Kris Dufler, outsmART originals is thrilled to add a second design to this week's Dufler release news. 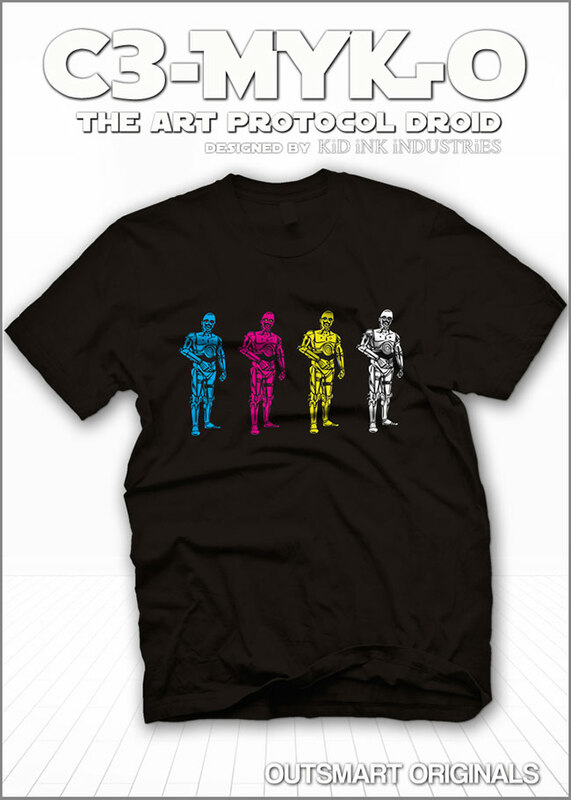 Introducing C3-MYK-O, the art protocol droid you can get without having to negotiate with little scavengers! 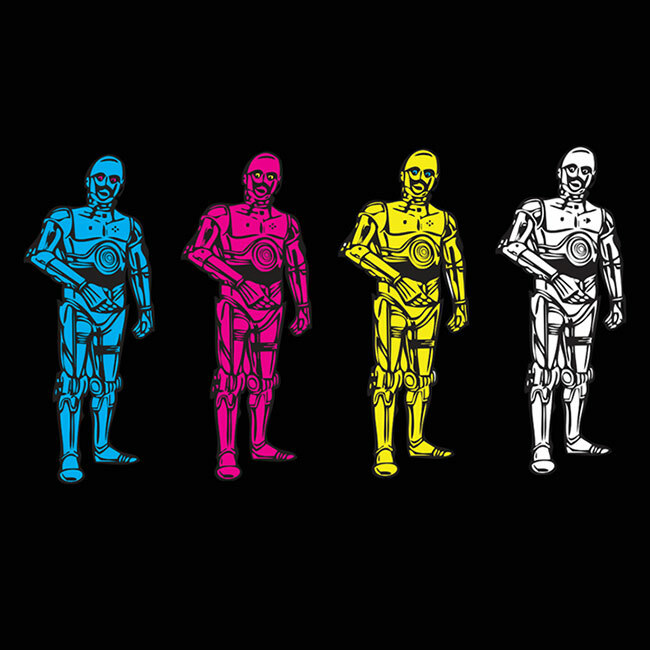 Screen printed on ultra cotton tees for a classic fit, these tees will be available for both men and women for only $20.00 and shipping in late April in time for the MAY 4th celebrations. April 2013 - Legendary fighters known for their strength and wisdom, these elite imperial warriors were not to be trifled. Fighting inside the dohyo or 'the inner circle' taking on all challengers, these wrestlers never knew defeat and now you can support the troops with this new tee designed by Kris Dufler (Kid iNK iDUSTRiES), the Sumo Trooper. 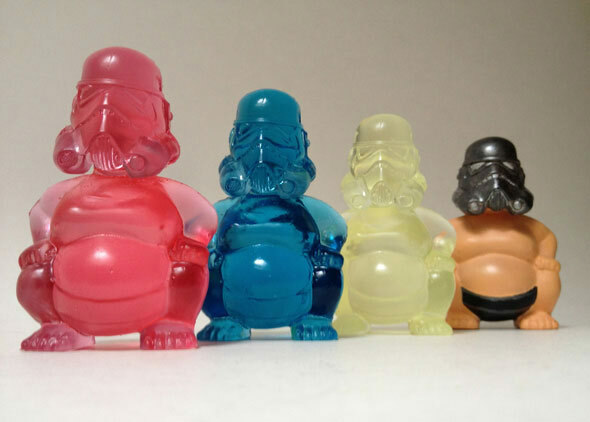 Based on the resin release of several exclusive Sumo Trooper figures over the holiday weekend, outsmART originals is pleased to bring another steller offering to the world. As a bonus, there will be a special incentive exclusive version created as a giveaway for one lucky winner - just for preordering this t-shirt and supporting the artist!